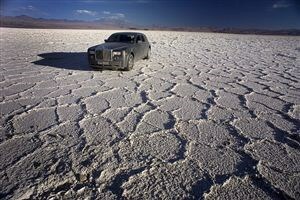 Day 14 – The finale of our 5000-mile Rolls-Royce adventure: Chile to Argentina. 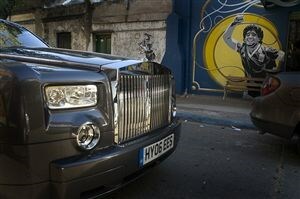 Nothing is ever predictable in South America, especially when you travel by Rolls-Royce Phantom. Just as getting into Chile had been a trial of immense diplomatic challenges, so too was getting out. So, seven hours late and with darkness falling, the Rolls exited Chile and re-entered Argentina, crawling across the roof of the world to an altitude normally only frequented by Rolls-Royce aero engines not motor cars. Not that the Phantom minded. In the darkness alongside the road was the limpet rail line along which runs the Train to the Clouds. But with midnight come and gone, train spotting was bottom of the order. Salta, Argentina’s desert outpost and end of our expedition, beckoned. Two weeks, almost 5000 miles, hundreds of ham and cheese sandwiches, countless thumbs up, offers of marriage and offers to relieve us of the car, the Phantom’s suicide rear doors shut for the last time. Dusty as a Chilean mining truck and as cool as an Argentinean polo player, it ended the journey rather less pristine than it had started. Not one mechanical missed beat after leaving Buenos Aires, the Phantom sprinted twice across a continent with no more drama than if it had been wafting down Park Lane. What conclusions can we draw from our adventure? Clearly, the Rolls limo is a most comfortable way to cross a continent, but then we could have told you that at the start. More impressive was just how pampering it was, the reaction it sparked, the depth of engineering and thought that’s gone into it. Such qualities don’t necessarily bare themselves on a short test drive. We absolutely loved it. Day 13 - San Pedro de Atacama, Part 2. It’s amazing that anything lives here, humans included. 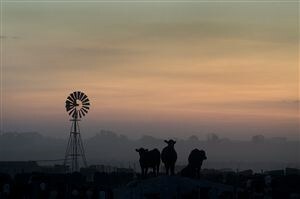 An average of only 1mm rain falls each year. Water rivals gold for value round here. So to find flamingos, llama and fruit thriving in a place NASA use for Moon and Mars practice is rather bizarre. Our oasis is a new eco boutique hotel called Tierra Atacama. Very earthy, very cool and after a staple diet of ham and cheese sandwiches for Chilean road food, a culinary shot in the arm. It was also a good place to celebrate, with a variety of bottles we had procured from vineyards and hotel rooms en route, our last night in Chile and the last night for all of us together. It’s amazing how much wine you can squeeze into a Rolls-Royce Phantom’s 460-litre boot. By tomorrow the gang would be separated, our cameraman Andy heading for the next round of the WRC, me for New Zealand and Warren and ace snapper Anthony for a final almost non-stop sprint back to Buenos Aires. Fangio might have been my inspiration for this expedition but Senna was the emotional driver. Being in a place closer in landscape to Mars than Earth was memorable for an event thousands of miles away in Italy. I was on the Camel Trophy and we were within hours of finishing at Antofagasta when news filtered through from Imola. So, 14 years on, I stood in the arid emptiness of the Atacama and paid a silent tribute to a man I not only had the pleasure of just meeting but knowing. Spiritually revived, I climbed back behind the wheel of the Phantom and made for one of the highlights of the desert: the flamingos living out on the salt lakes near the town of San Pedro de Atacama. Day 11 – Antofagasta to San Pedro de Atacama. Tropic of Capricorn. Or so the signs say. Three times. 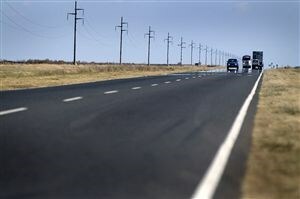 And in three different places on the highway between Chile’s main port at Antofagasta and the vast arid expanse of the Atacama Desert just inland. When you cross into the tropics you expect the thermometer to shoot through the roof. And sure enough, the mercury inside the Phantom rockets to almost 30 degrees from a temperate 20 degrees an hour or so ago. This is the turning point in our journey. Week one was spent heading west. Then we set course north along the Pacific Coast. Now we’re travelling east, on course back towards Argentina and the Atlantic. It’s not quite Tin Pan Alley, but the highway into the Atacama is the road to Chile’s copper mines. Thanks to China and its insatiable demand for resources, the mines are at full pelt. 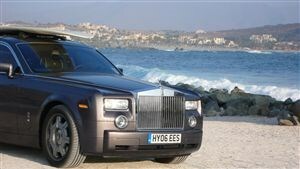 Trucks dwarf our otherwise monster Rolls Phantom limo. Alongside the road runs a rail link to landlocked Bolivia. Chile is never more than a few hundred miles across and at an average speed of 75mph, we are fast running out of country. The Chilean newspaper we had met in Santiago ran our story this morning. It claimed that Daniel Craig had chosen the wrong car when he filmed for Quantum of Solace in Chile a few weeks ago. He should have had our Rolls, they claimed. Instead he drove a Range Rover for the Chilean sequence, we hear. But at Paranal we had something in common with 007. Ever the Bond baddy hang-out, the reflective silver space-age telescopes perch on the edge of the Andes where the skies are the clearest on the planet. The giant eyes on space can see footsteps on the surface of the moon, apparently. The geeks watching for little green men gathered round the Phantom before their night on ET duty. They love it, but not as much as star gazing; they quickly head off to gaze at a star with no name, only a number. Maybe we should have turned up in a Ford Galaxy or Mitsubishi Space Star, rather than a rather dusty and well journeyed Phantom. By 10am, six hours after leaving La Serena, we are only just over halfway to Paranal, a remote mountain top in the foothills of the Andes and home to the world’s largest telescope. We are not due at Paranal until two hours before dusk, at 4pm, but the roads away from the Pan Am and into the Atacama are rough, holed and dusty. 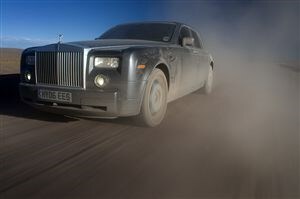 Two weeks of dirt driving in Africa a few years ago had dispelled any fears that the Phantom was a boulevardier only. With giant wheels and run-flat Goodyear tyres, the Phantom rolls over the harshest surfaces with barely a murmur, squashing road irregularities into submission. Grappling for grip, the traction control light flickers as the monster limo launches out of the tighter corners. It’s a pretty amazing experience. Rally driving a Rolls sounds like Wacky Races or Cannonball Run gone mad. But it’s real and it’s deeply impressive. To compound the experience, dust now coats the hand-painted bodywork. A Phantom caked in cross-continental dirt, dust and detritus? It looks the business. We have to rope in 600 miles of road, track and sand today so both my alarms are set for 03.30. Not morning but still the dead of night. We all agreed to ring each other to make sure a full compliment is ready to hit the road at 0400. 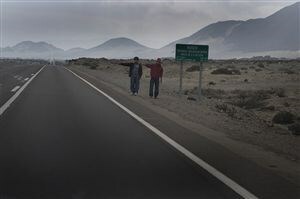 From La Serena, we follow the Pan American Highway for 350 miles. The Pan Am links Tierra del Fuego to Alaska. Pole to Pole, as much as land will allow. It’s one of the world’s great highways. It is also an honour to drive even this small section. We have 150 miles under our belt before dawn even thinks of peeking its head above the bed clothes. No mean feat as a pea-souper cloaks the Pacific coast for most of the morning. I care not. Warren is driving. I am stretched out in leather heaven on the rear seats, wafting in and out of consciousness. Thankfully too. The road has suddenly sprouted an unhealthy series of roadside decorations. Shrines in fact. 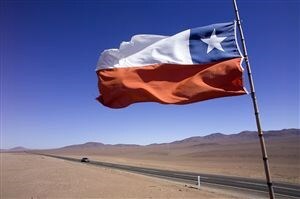 Memorials to those for whom driving in Chile spelt the end to their lives. ‘Many of the crashes happen when people fall asleep behind the wheel,’ says our guide Alfonso. I check behind. Warren is wide awake. After one night in Santiago, we are history. Almost a week since leaving the Atlantic behind at Buenos Aires, the Pacific beckons. Hiding below the Andes, Santiago is a couple of hours inland from the world’s largest body of water. Five thousand miles of water shoulder charges the Chilean coast, a whopping amount of energy…perfect for surfing. Surftown South America is La Serena. Mile after mile of west-facing beaches act like a magnet to seawater and surfers. Strapping a longboard to the roof of the Roller, we make for the sand. Bill Maher is an ex-pat Yank who moved to Chile for the peace and pipeline waves. He is old enough to warrant a bus pass but on a plank of fibreglass he walks the dog and hangs ten. He does not, however, use the word cowabunga. What my co-driver Warren did not tell you is that taking a £250,000 Roller across a South American frontier is as tense as walking through customs at Heathrow with a bar of gold stuffed in your smalls. Thanks to the diplomatic skills of HM’s embassy in Santiago, the pride of Britain swooshed into the Chilean capital to an almost royal reception. 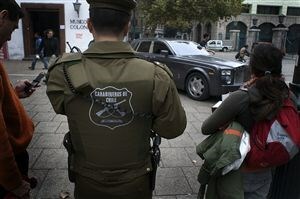 Chile’s press demanded an audience with the British expeditionaries and the Santiago glitterati at the Ritz Carlton tripped over the tassles on their Gucci loafers as the Phantom pulled up outside. Santiago is the Geneva of South America. Stylish but dull. It’s where you would stash your cash if you had to keep it in Latin America. Thankfully, the flipside is that the city works and is relatively safe. So much so, we dump the Rolls and walk to dinner on foot. 2pm: After more photos around the ranch all morning and a huge gaucho lunch of steak, steak and more steak, at last there’s a chance to properly stretch the Phantom’s legs as we tool across several hundred miles of rural flatland to Junin, our next stop. Out here the madness of city driving is gone, traffic is sparse, and the roads are straight as far as the eye can see. Which in an area so flat it makes Norfolk look positively mountainous, is a very long way indeed. Above us the shining sky stretches in all directions and the views are breathtaking. The ragged roads out here, although shredded and rough in most places, can barely be felt or heard inside the Phantom’s cabin, and reclining in regal luxury inside our 90mph cruising palace is as effortless as breathing. 8pm: Pulling into Junin, the Rolls works its mojo once more as people all around stare, point, walk into lamp posts and almost crash into each other craning for a better look. 11pm: After dinner (yet more steak) we get our heads down. Tomorrow we’ve got the best part of 600 miles to clear, which on the two-lane strips which pass for motorways out here in the sticks, is going to make for one long day on the road. Surely they’ll reveal some chinks in the Rolls’ armour? So far, apart from its sheer size, value and ostentation, it’s been just about perfect for our south American adventure. 10.00am. On the road proper today. Or at least we would be if we could only get out of Buenos Aires. The traffic doesn't help, but our map reading is worse, and we lose an hour lapping the airport on the edge of town as we struggle to get to grips with Argentinean road signs (a rare commodity), and our so-called map (having not bought a proper one we're using one we found on a web page). Shame we don’t have the correct disc for the Rolls’ sat-nav. 3.00pm. Much swearing, U-turning and red light running later, we find ourselves rolling into the Villa Maria ranch, our home for the night. Covering over 1500-odd hectares this place is huge. Just driving from the main gate to the house inside takes five minutes, and on the way we pass endless herds of cattle, all expertly herded by gauchos (Argentinean cowboys) on horseback. 9.00am. 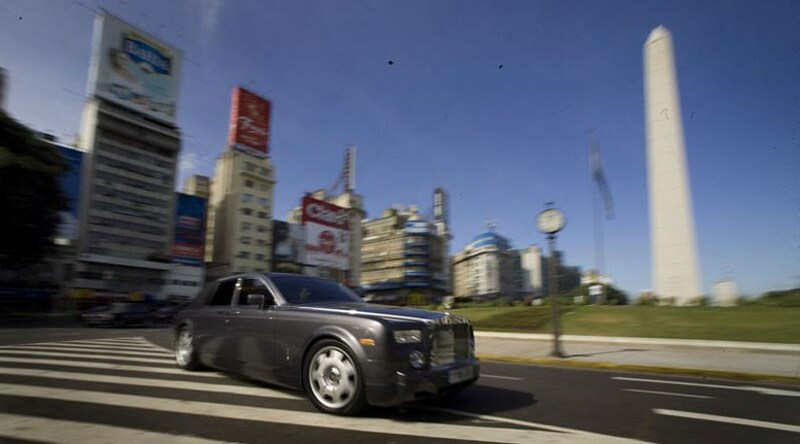 First stop in the Phantom is the Avenida 9 de Julio in the centre of Buenos Aires. This is the widest avenue in the world and in morning rush hour it is a boiling, seething hotbed of motoring madness. Not the best place to familiarise yourself with one of the world’s most expensive cars – especially when the Argentineans drive with their hearts which means lots of horns, non-existent lane discipline and the consideration of mirrors regarded as a minor annoyance at best. After two hours of miraculously scrape-free work in the gridlock, photographer Cullen calls time and I breathe a massive sigh of relief. The Phantom feels damn big out here. 11am. Next we head to La Boca, home to the iconic Boca Juniors football team where Maradona made his name. An unmissable stop on the Buenos Aires tourist trail, this is also the poorest neighbourhood in town. In the Rolls-Royce, locals warn us to take a daytime visit only – unless we want to attract the kind of attention which could leave us walking home. We stick to daylight, have no trouble at all despite the car being swamped at every opportunity, and slide back to the Alvear for a restorative beer. 11am. Holed up as I am in the Alvear Palace hotel in Buenos Aires, an establishment renowned as perhaps the best hotel in South America, I’ve slept off my jet lag nicely since arriving yesterday. But although the Alvear has many luxurious distractions awaiting me as I fall out of bed, I couldn't give a monkey’s. The call has come through that the Phantom is ready and waiting at the docks. I’m calling a taxi now. 2pm. Phantom collection. Sweet mother of God it’s beautiful. In a metallic graphite grey with a sumptuous black interior, this Phantom is a gem. It’s easy to forget the presence these things have in the flesh, and a crowd gathers immediately. By the time I pull away, it’s already the star of a bevy of mobile phone snaps. 3.30pm. Back at the Alvear I’m thankful Rolls have supplied the short-wheelbase version as I squeeze the monstrous motor through the narrow entrance to the front door. On arrival the car is mobbed. This may become a familiar pattern over the next few days. The South American continent is a perfect stage for humongous drives. I met Fangio a few years ago and his tales of the mammoth long-distance races he used to do from Buenos Aires to La Paz were inspirational. And, on two wheels, Che Guevara soaked up mile after mile and bump after bump in Motorcycle Diaries. For the past three years, I have been able to persuade Rolls-Royce to supply a car for an increasingly adventurous series of global expeditions. The first one crossed Africa from the Indian Ocean coast of Mozambique/South Africa to the Atlantic Coast of Namibia. Then, to celebrate the return of Rolls to India after 50 years, we took a car to Rajasthan. And last year 12 top musicians drove Phantoms around the world from India and Australia to Miami and the Nurburgring. En route, we'll play football with one of Argentina's biggest clubs, learn tango and polo and ride with Argentina’s cowboys, the gaucho. In Chile we'll visit the world’s largest telescope, the set for the new James Bond movie and cross the driest desert in the world off-road. Finally, before making the return dash back across Argentina, we'll drive on one of the highest roads in the world, taking the Phantom to the equivalent of halfway up Everest.